07 tips to jazz up or spice up your everyday life. Skillopedia video to learn tips and tricks to improve your interpersonal skills and improve your personality. Have you ever felt like your life is getting too boring for your taste, things are the same, the routine continues and there is absolutely no spice in your life? Well, today we are gonna talk about something very interesting. 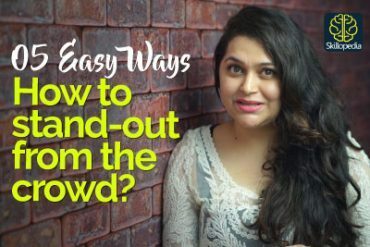 My name is Rima and this video is about – How you can jazz up or spice up your everyday life. Just commit to your daily routine. Now you might think, I am finding my routine so boring and here she comes and tells me to commit to my daily routine all over again. Well, the truth is you find things boring if you end up doing them hardheartedly. So commit to your daily routine meaning, be so committed to doing your daily tasks that you enjoy them completely and fully. If you have to wake up at 6’O clock in the morning, wake up in such a way that you feel like, yes it’s my mission to wake up early and make a difference at my workplace. If you are focusing on every single minute in your life, this will give you the new burst of energy and enthusiasm you will start enjoying you r day in a totally different way. Works absolutely every time. Now let’s just say, you have to get up in the morning and head to work and you have an important meeting and you are feeling pressurized and burdened, you probably need a break, but why don’t you change the scenario in your head first, why don’t you start looking at things positively, why don’t you say to yourself – Wow!, you know what, I am so grateful, I have a fantastic meeting lined up in a fantastic company with my fantastic colleagues and I am that one person who is gonna make a change, who’s gonna make things better and bring about positivity for everyone. It can really get you through your day in a fantastic fashion and you would forget about boredom, and you would forget about routine and you would really start enjoying your daily life moment to moment. Having a to-do list of tasks that you are required to do for home and for work and focusing on them completely. Because if you actually focus on them, you would accomplish your to-do list at the end of the day you will feel a sense of accomplishment and a sense of achievement that will just wipe your entire boredom away. So, have a list, a to-do list and prioritize, let’s say you have an important presentation at work, make sure you prepare well because your presentation has to be well worth it. If you have to pay bills to make sure you are before time, that task is definitely on high priority or say you want to service your car or take care of house repairs make sure that you are bang on time with each task. Get 30 minutes to 1 hour a day, every single day to do things that you really like to do. Now, for example, you have a long day lined up, lots of priorities, lots of tasks to do. Why don’t you start with the one that you really like to do? It may not be your priority no 01, but how about you dedicate 30 minutes to it. It will put you in a good mood and positive frame of mind and once you are there then you are gonna be unstoppable and then this speed with which you go through the rest of your task will be amazing and then your long boring routine, complicated day will turn into a spicy wonderful day. I know you have responsibilities at work and at home and that you are surrounded with so many people that you really like, your family, friends, colleagues, bosses, some people that you find difficult to deal with and you constantly in the company of so many people, which is why sometimes it’s important that you tune off, you shut off and go for some Mr time, that’s right. Even if it means you have to sit quietly for about 10-15 minutes enjoying a cup of coffee in absolute silence, just reflecting, going over your day, trust me it de-stresses you at a different level. So definitely go for Me time without fail. Now I know that deep down buried in your heart is an interest for piano, Villon, painting, probably taking up running or yoga or Pilates , whatever it is it could or could not contribute to your fitness but if it’s your passion, if it’s your hobby, if you have been wanting to do it for the longest time and you haven’t had the time to, what are you waiting for? You have to start now, start today. Now, this is not a comment on whether you are already nice or not, it’s about whether your niceness is reaching another person or not. So I know that when your life is routine, it’s boring, you are running from pillar to post trying to take care of your work and your home, you know sometimes we forget that being human is all about actually being nice, being compassionate, being kind, being helpful. So if you actually work on honing your human qualities, positive qualities, you will see that your entire environment will change, everything around you and all the people around you, the people that you attract in your environment, all of that will turn into a sea of positivity and happiness. 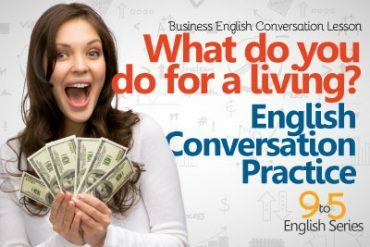 English conversation Lesson – What do you do? 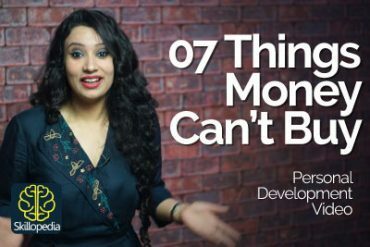 07 Things Money Can’t Buy – The power of positivity.